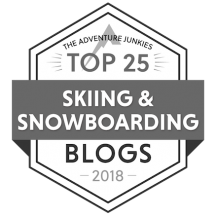 Unless you’ve been waaaay out in the backcountry and completely cut off from any sort of civilization, you know that the holiday season is upon us. Sure, there’s been Christmas stuff in stores since even before Halloween, and though IMHO that was wildly inappropriate, I think it’s safe to say the shopping season has begun. If you can’t go to the mountain, why not bring the mountain with you? 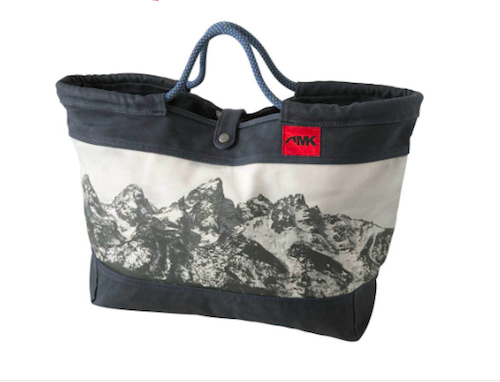 Mountain Khakis is offering this limited edition Market Tote that’s perfect for carting your stuff, wherever you go. Rugged and water resistant, it features recycled climbing rope handles (each is unique). 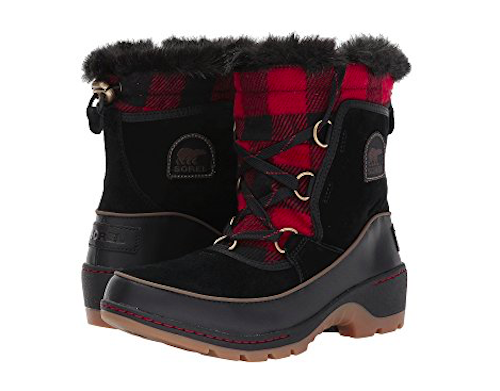 Why can’t all snow boots be this cute? Sorel’s Tivoli III boot is the perfect combination of warmth, water resistance, and style. I love the black and red plaid; sort of lumber-jackish, don’t you think? Now here’s something that’s a bit unique: Wall art that uses ski-themed letters to spell out a first name, last name, or any word of your choice! It popped up on my Facebook theme, and I thought, gee, that’s cool! From Personal Prints. 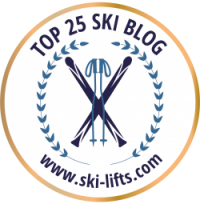 This is a great gift for anyone who wants to improve their skiing. And after all, who doesn’t? 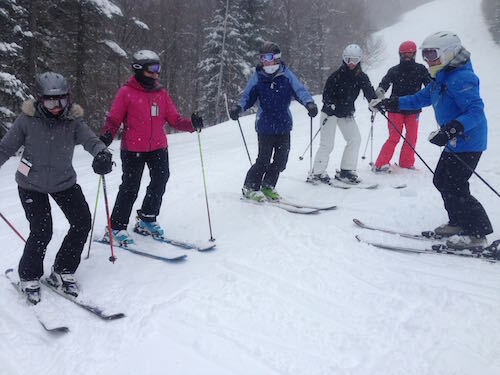 Give them the gift of a women’s ski clinic. I did a blog post a few weeks ago where I listed tons of them throughout the country. 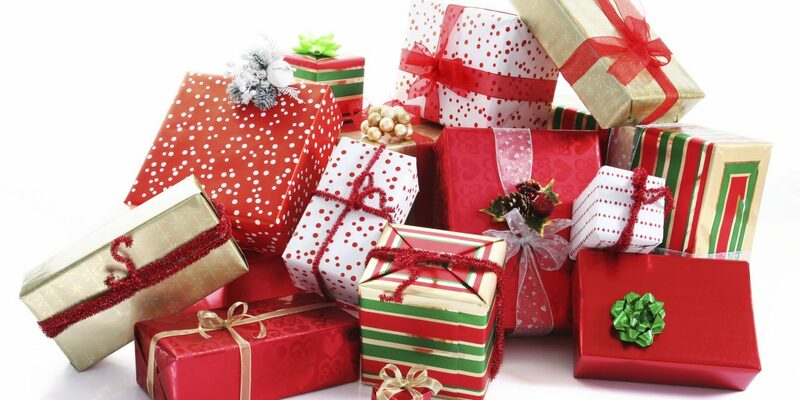 So take a look and give someone the gift of lessons! 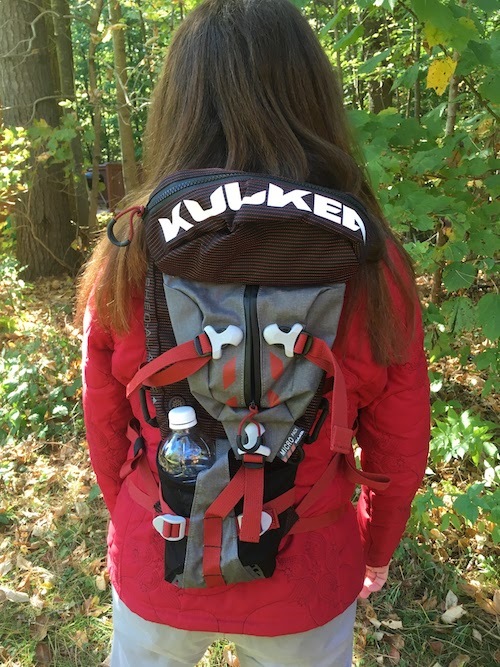 I recently reviewed Kulkea’s Micro Day Pack and can’t recommend it highly enough for days on the hill. Its low profile, well thought out design provides places for all the stuff you might need for your ski day. From Kulkea. So who here is sick and tired of plain old black mittens? Yep, me, too. 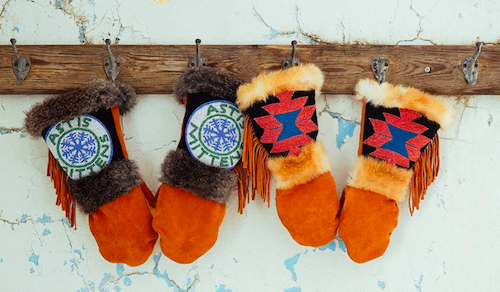 That’s one of the reasons Astis mittens are so appealing. I mean, look at these. They’re gorgeous. Every pair is hand made of natural materials and lined with dry-wicking Polartec® Thermal Pro® High Loft. I have lusted after these for years. Maybe one day Santa will bring me a pair. 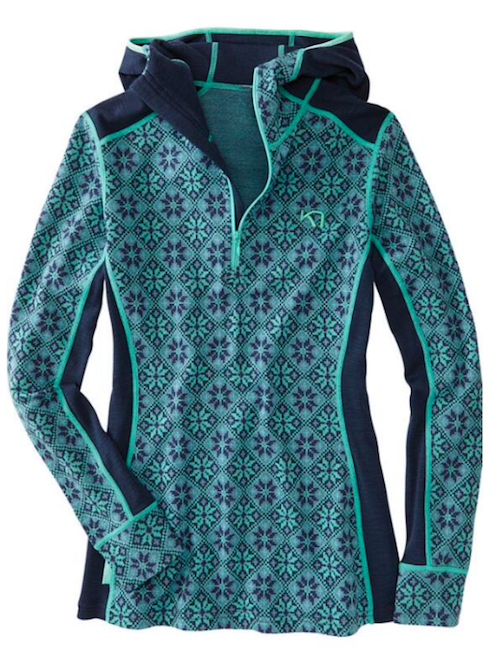 Baselayers don’t have to be boring, and his one from TitleNine sure isn’t. The Slalom Half-Zip Baselayer Hoody features panels of 240 g jacquard knit with 4-way stretch 180 g knit side panels for ventilation. 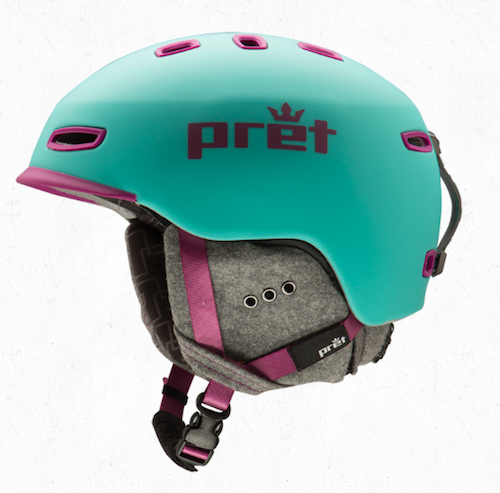 Pret Helmets gets its name from the French word for ready, as in ready to go, and any Ski Diva with one of these will be ready to go down the hill — tout suite (French for right away). I have a Pret helmet and I love it. Not only is it low profile and light weight, but it features MIPS technology, which helps reduce rotational forces on the brain caused by angled impacts to the head. It also has plenty of venting and removable cloth ear pieces, and comes in a variety of colors. And it’s cute, too. 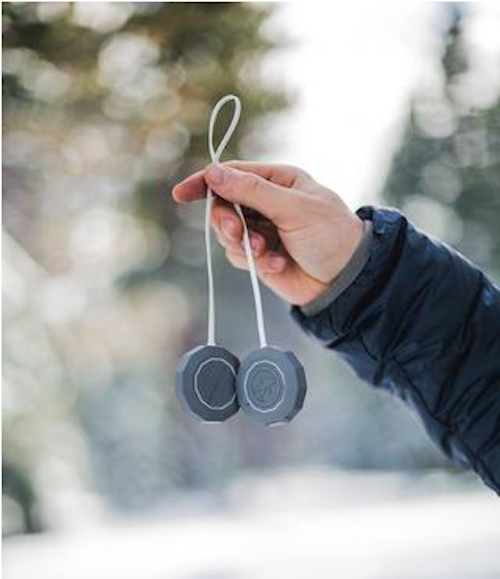 A great solution to messing with your head phone cable, Outdoor Tech’s CHIPS 2.0 speakers can be used with nearly any audio compatible helmet to stream music from any Bluetooth audio device. There’s also a push-to-talk function and a microphone so you can answer your phone without taking off your gloves. 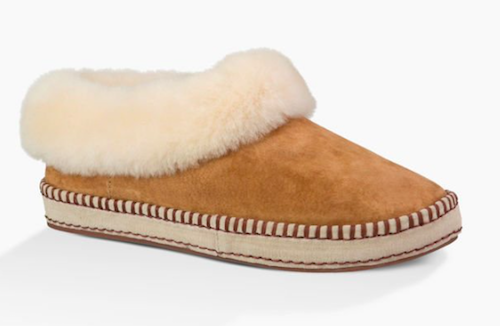 Warm feet are happy feet, and the Wrin slipper from Ugg will keep you plenty warm. Made of sheepskin and water-resistant suede, it features a rubber outsole, too. This may be for kids, but aren’t we all kids during the holidays? 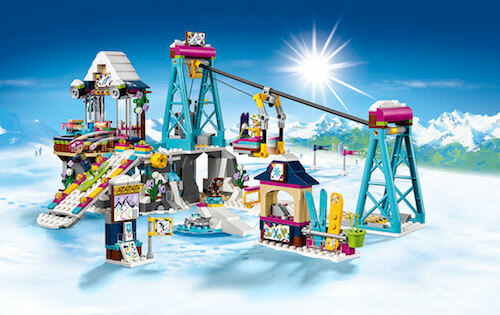 The Lego Snow Resort Ski Lift lets you build your own resort and features a ski lift with a winch function, a ski slope with slide function, mountaintop restaurant, rock climbing wall, bear cub cave, equipment hire stand and trail map stand. Watch out, Vail! There’s a new ski area in the mountains! 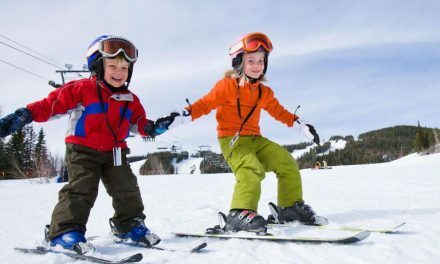 10+ Tips for Taking Care of Your Skiwear. Fun list! The Sorels are a great investment… I’m on year 18 with my pair… just change out the liners every couple of years. I love your holiday ideas… I remember I said the same thing last year! 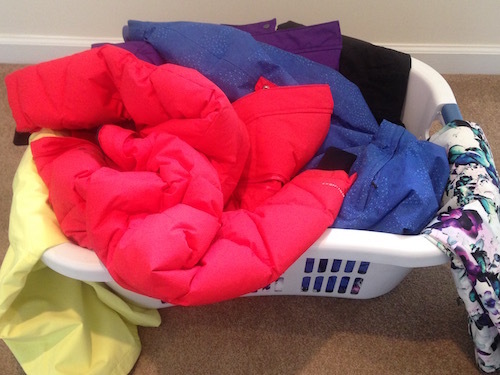 Think we better not shop together…..we could get in trouble. Terrific list, Wendy! Except I want one of each . . .